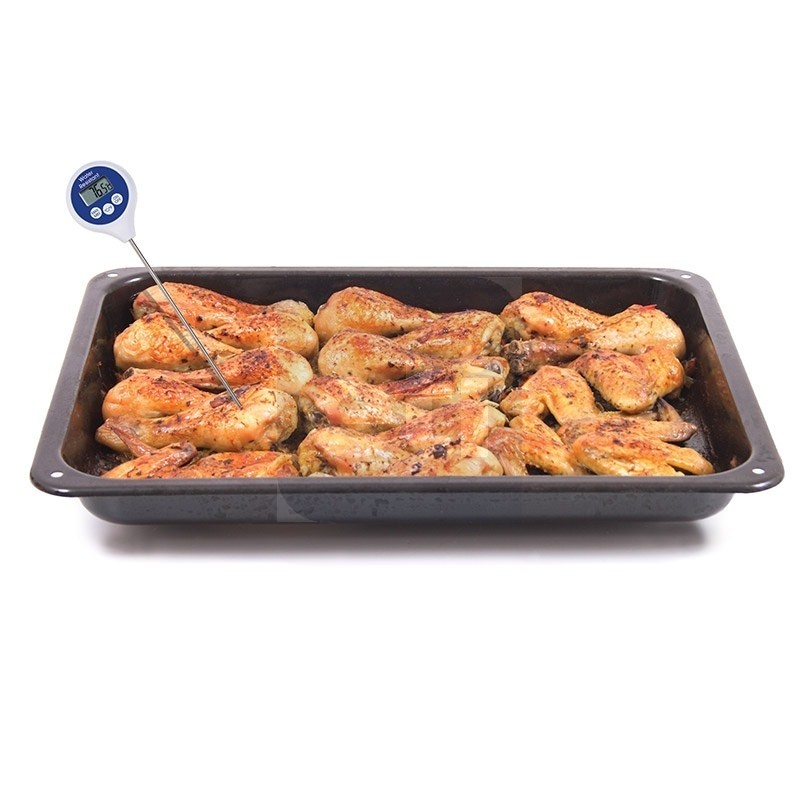 IP65 Water-resistant catering thermometer designed to fit in your pocket. 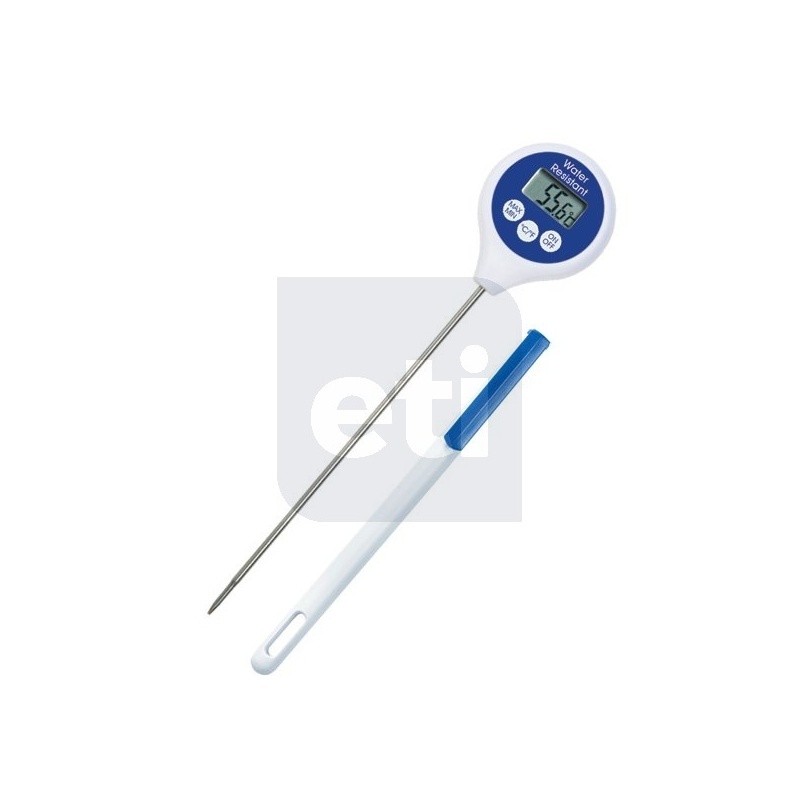 This pocket-sized, IP65 Water-resistant max/min thermometer features a Ø2.5 x 125mm fast response reduced tip, stainless steel food penetration probe. This thermometer is an ideal economical solution for numerous temperature measurement applications. 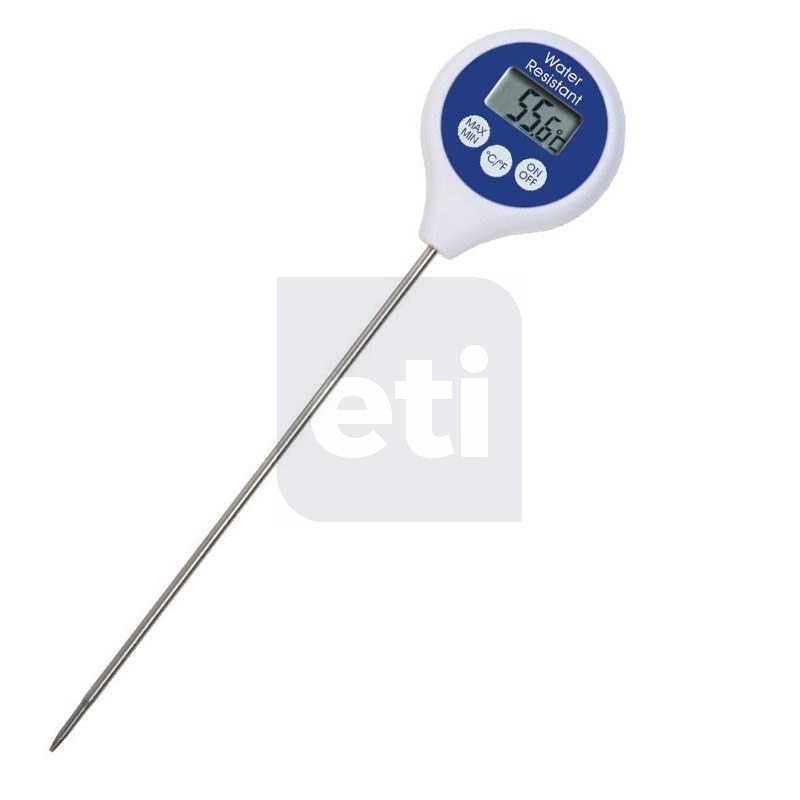 The water resistant thermometer measures temperature over the range of -49.9 to 199.9°C with a resolution of 0.1°C/°F and features three, easy to use buttons, max/min, °C/°F and on/off. Each thermometer is supplied with a probe cover with a pocket clip.